Videantis works in close cooperation with its semiconductor licensees, OEMs and automotive Tier 1s that are adopting videantis-enabled silicon, key algorithm partners, and industry standardization organizations to ensure a complete and easy-to-integrate solution. Bringing an intelligent camera system or multimedia device to market can be a complex task that includes hardware design and embedded software development with real-time constraints. 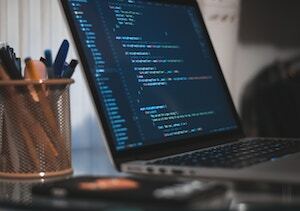 There’s a lot of ways we can help you – whether it’s with our specific offerings for developers, training, development services, or partners, we’ve got you covered. Contact us and we can set up a meeting to discuss how we can help. Are you integrating chips that include videantis pixel processors into your designs? Developing and porting your own embedded vision algorithms to these SOCs? See our offerings for developers how we enable you to be successful. Are you integrating chips that include videantis pixel processors into your designs, but don’t have the staff on board with the relevant embedded software development experience? We can help you complete your software and get your product to market faster with our development services. Ours staff frequently gives invited talks at conferences or show our technology demonstrations at trade shows. For video recordings, see our demo videos page. We provide training services to get up to speed quickly with your videantis-enabled products. 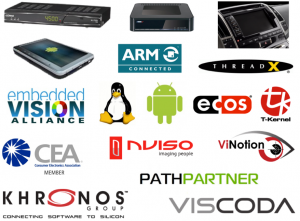 Our processor IP and optimized software has shipped in a wide variety of SOCs. For an overview, see our powered by videantis page. We work together with independent software vendors to jointly address the market. This way we can concentrate on what we do best: providing a flexible platform that implements a wide variety of video/vision algorithms in silicon at lowest power and highest performance. See an overview of application partners. We’ve integrated our technology, software libraries, and drivers with a wide variety of operating systems. We’re an active member of several industry organizations.